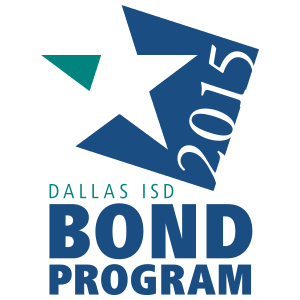 In recognition of Veterans Day, schools across Dallas ISD on Monday honored veterans of U.S. military service. Meanwhile, district administrators thanked the hundreds of district employees who are veterans and bring the same devotion of sense and duty they gave to the country. Skyline High School started the day by saluting and raising the flags of the United States and State of Texas, and the JROTC paid its respects to veterans while standing outside in the chilly rain. Skyline High School ROTC members commemorate Veterans Day. 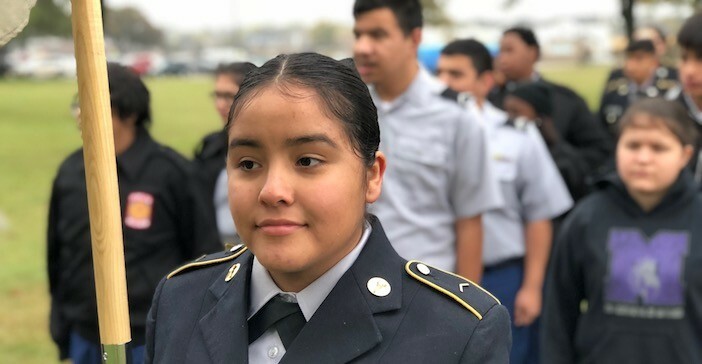 The Thomas C. Marsh Preparatory Academy’s Leadership Cadet Corps on Thursday participated in a special Veterans Day event as part of the school’s Preview Night. The LCC Military Museum has been open for tours and a reception for family honoring veterans. Thomas C. Marsh Preparatory’ Academy’s Leadership Cadet Corps (LCC) participated in a special Veterans Day event. At Dallas City Hall, the Dallas ISD student winners of the Veterans Day Art Contest were recognized for their artwork commemorating the 100th anniversary of the end of World War I – Armistice Day – which later became Veterans Day. The City of Dallas Veterans Day Parade, which was going to feature Dallas ISD marching bands and JROTC units, was cancelled due to weather. Stephanie Cardona of O.W. Holmes Middle School took first place in the three-dimensional art category with her sculpture of the sinking of the RMS Lusitania in May 1915.